Kemberlee is a native Northern Californian who grew up in a community founded by artists and writers, including John Steinbeck, George Sterling, and Jack London. She has dual diplomas -- canine and feline nutrition, and hotel and restaurant management. At one time she also ran a private part time obedience business, and also showed English Bull Terriers In 1997, she left the employ of Clint Eastwood to live in Ireland for six months. It was there she met the man she would marry, and relocated to live in Ireland permanently. 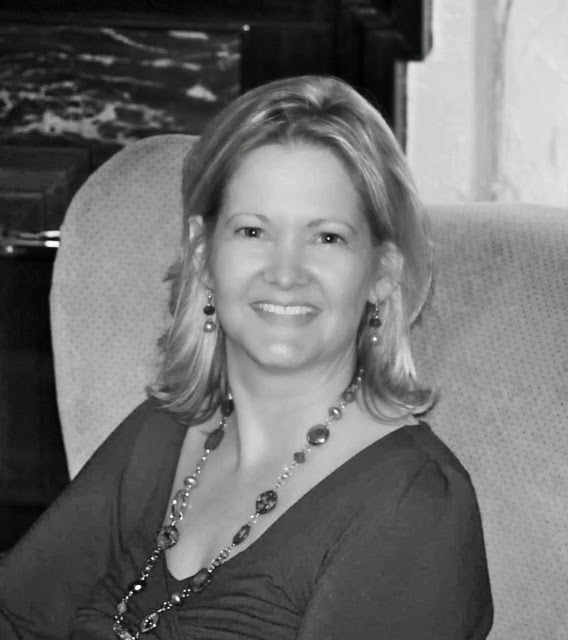 While always writing, Kemberlee earned her keep as a travel consultant and writing travel articles about Ireland. 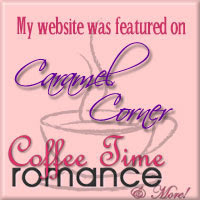 In 2005, she saw her first romance sell, and to date, she has eight published romances. Kemberlee enjoys her two Border Collies, who feature on the cover of A Piece of My Heart, and also knitting, gardening, photography, music, travel, and tacos! A Sneak Peek at Reluctant Betrayer! Hi Miriam and all Celtic Rose blog fans. 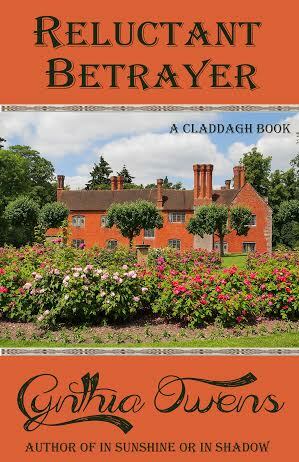 I'm thrilled to report that Reluctant Betrayer, Book V of the Claddagh Series, is now available! I hope this story of love, betrayal and treachery will touch your heart and soothe your soul. Trasnavan…a west-of-Ireland village bursting with charm, intrigue and treachery. Aidan Collins grew up in the shadow of his heroic older brother. The steady one, the responsible one, he burns with anger against the landlord and vows to change the desperate straits of the village folk. Raised in a family of rebels, Maura Riordan is horrified when she learns the man she loves has committed the ultimate act of treason. But Aidan has his own reasons for taking the position of landlord’s agent. Will those reasons destroy him? Will Maura’s deception tear them apart? Can their love survive the lies they’ve both told? “Can f-feelings just w-wither and die because you w-will them?” Her voice rang with defiance. “Because we’ve an understanding between us!” The words burst from her, and she clapped her hands to her mouth. Oh, why had she told him now, like this? Neil stilled, his blue eyes, the exact same shade as her own, boring into her. Angry. Passionate. I'm having a contest on my website! You can win an autographed print copy of In Sunshine or in Shadow, Book 1 of the Claddagh Series, or an autographed flat of the gorgeous cover Highland Press created for Reluctant Betrayer! A former journalist and lifelong Celtophile, I enjoyed a previous career as a reporter/editor for a small chain of community newspapers before returning to my first love, romantic fiction. My stories usually include an Irish setting, hero or heroine, and sometimes all three. 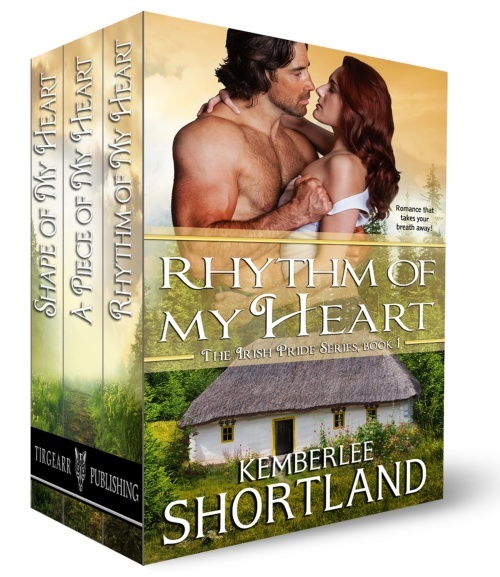 I’m the author of The Claddagh Series, historical romances set in Ireland and beyond, and The Wild Geese Series, in which five Irish heroes return from the American Civil War to find love and adventure. I’m a member of the Romance Writers of America, Hearts Through History Romance Writers, and Celtic Hearts Romance Writers. A lifelong resident of Montreal, Canada, I still live there with my own Celtic hero and our two teenaged children. Adventure and Romance in Ireland for Young Adults of All Ages! Book Three in the Glimmer Series is out. No worries if you haven’t read the first two. Each book can stand alone. The cast members include Janet, an American teen whose grandfather serves as the U.S. Ambassador to Ireland; Liam, an Irish teen whose father is the King of Ireland; and, members of Ireland’s unpredictable fairy clans. It’s the leprechauns who shake things up in A Pot of Glimmer, a rollicking ride spanning centuries. Ireland - January 1014 Fledgling leprechaun Awley O’Hay leads a raid on a Dublin mint. The mission:steal a shipment of coins to aid the High King, Brian Boru, in his war against the Vikings. Awley and his team plan the heist with commando precision, but they hit a glitch and only escape a bloodthirsty mob with the help of Hazel, the uncommon sister of one of the leprechauns. Yet the money master’s vengeful ghost troubles Awley for centuries. So do Awley’s forbidden feelings for Hazel. Ireland - July 2015 Janet Gleason has had her fill of fairies. They’ve not only plagued the American teen since she arrived in Dublin, they’ve also hindered her romance with her gallant friend, Prince Liam Boru. When Janet’s grandfather, the U.S. Ambassador to Ireland, throws a Fourth of July celebration, Liam reluctantly attends with the rest of the royal family. Also attending are several uninvited guests. A fairy witch named Becula arrives with Hazel, her clever and quirky protégée, to beg a favor of Janet. The unplanned appearance of Awley O’Hay and his leprechaun pals triggers a chilling visit from the money master, now an undead monster hungry for human flesh. Liam and Janet fall into a nightmare that tests their courage in ways they never imagined. Nor did they imagine that real leprechauns are nothing like the “little men” of Irish lore. Excerpt - Young love has its problems, but Janet and Liam seem to have more than their fair share of trouble. Can they rekindle their former romance? Should they? The formal reception room beside the foyer seemed a silly place for teens in casual clothes to meet. When Janet first came to Deerfield House, she’d disliked the opulent room and its overwhelming chandelier. She’d thought it pretentious and fussy. Now it was merely another room. Liam and Kevin must feel that way about their royal digs, she thought as she slipped in behind them, her theater eye regarding them as actors on a stunning set. Only inches apart, Kevin and Matti were laughing. Liam stood away from them, saying nothing, thumbs hooked in the pockets of his tailored jeans. He wore contact lenses instead of his gold-rimmed glasses. His hunter green rugby shirt set off his dark red hair and cinnamon eyes and flattered his well-toned physique. He needed a haircut. A sudden desire to touch the rebellious curls at the tops of his ears confused her. His dramatic performance made her chuckle. She laughed out loud at the agonized look on Kevin’s face. Kevin and Matti happily agreed. Janet opened the front door Out on the lawn, workers were clearing yesterday’s stands and tents. Chatting away, Kevin and Matti ambled down the sun-drenched driveway. A burst of noise from the workmen drowned out their conversation. Liam took the basket from Janet. “Where’s the shed?” he shouted. She pointed to the right. They strolled to the back of the house, where stands of thick green shrubs subdued the racket. As they turned up the path to the shed, they both spoke at the same time. “Yeah, I guess.” Thoughts scrambling, Janet opened the door and placed the basket on the potting bench. The pungent odor of cow manure wrinkled her nose. She wasted no time escaping the shed and shutting the door, and not because of the smell. “So you’ve said, and I agree. I’m glad we’re friends too. Anyway, the best you’d get with me is an unsteady boyfriend.” He caught her hands and drew them to his lips for a pair of proper royal kisses. His eyes seemed locked in place, so intensely did he stare at her. She eased her hands from his, not to escape his handclasp, but to touch those curls at the tops of his ears. She had to stand on her toes to reach them. When she did, he hooked his arms around her and hugged her tight. The woodsy scent of him entranced her. Was that pounding heartbeat his or hers? No longer caring about steady or unsteady anything, she raised her chin in hopes he’d kiss her. He opened his mouth to respond. A woman’s piercing cry cut him off. Janet exchanged “uh oh” looks with Liam. “Where are you?” she called. “This way.” She pivoted left. Boston, Massachusetts native Pat McDermott writes romantic action/adventure stories set in an Ireland that might have been. 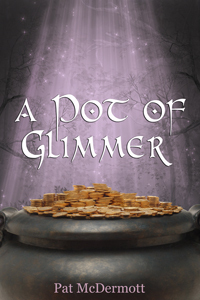 Glancing Through the Glimmer, Autumn Glimmer, and A Pot of Glimmer are young adult paranormal adventures featuring Ireland's mischievous fairies. The Glimmer Books are "prequels" to her popular Band of Roses Trilogy: A Band of Roses, Fiery Roses, and Salty Roses. The Rosewood Whistle is her first contemporary romance. Reluctant Betrayer, Book V of the Claddagh Series, will be released next month! And here's the first look at the absolutely gorgeous cover Highland Press has designed for it! Those of you who have read Everlasting (Claddagh Series, Book IV) will most likely recognize Aidan Collins, Liam's younger brother. Weary of the wretched conditions in the small, west-of-Ireland village of Trasnavan, he makes a decision that will change his life. But will it also cost him the woman he loves? Look for Reluctant Betrayer at your favorite bookstore soon! a fantasy, time travel romance set in 18th century mystical Isle of Skye. soon casts a spell of its own. 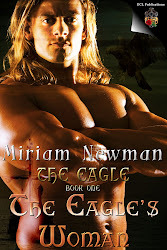 Doomed for eternity to wander nights as half man and half creature, rugged Highlander, Duncan McCord, discovers his curse is the least of his problems when he sets out for a cure and rescues the beauty determined to help tame his beast. When a reluctant witch, Keara, gets whisked back to 18th century mystical Isle of Skye to learn lessons in magic, she faces the true test of love when she meets the man beyond her wildest dreams burdened with dark secrets from his past. Forced together to journey through an enchanted country filled with mythical creatures and magical lore, will they survive in a world where evil sorcery reigns, or will a shocking twist of fate tear them centuries apart? 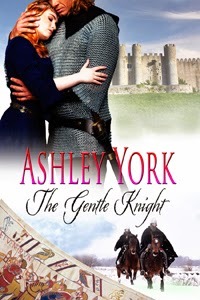 I'm happy to be here to share my new release, The Gentle Knight. The year is 1075. The place, Drogheda, Ireland. 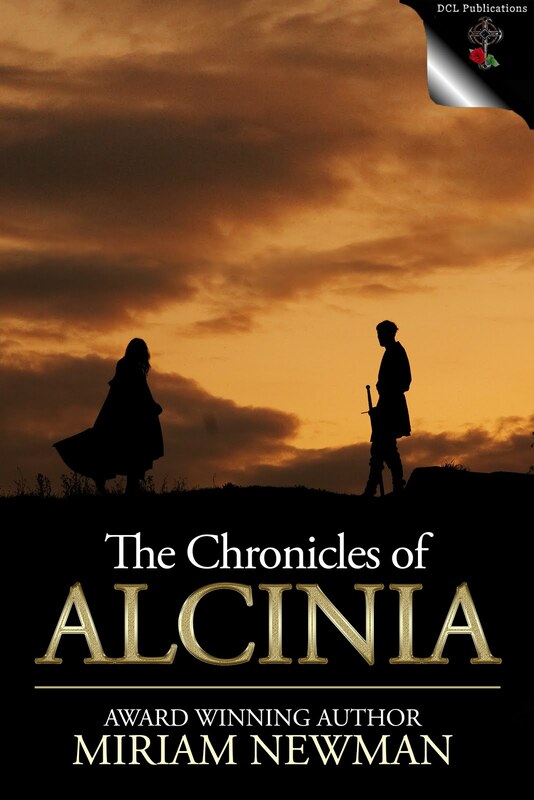 A Norman soldier returns home after battle to find his lover has died in childbirth just as his mother had. Overwhelmed by guilt, he decides on a solitary life until he meets an Irish princess whose innocence demands his protection at the cost of his heart. This is book two in the Norman Conquest Series. 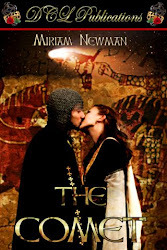 Book one is The Saxon Bride that tells the story of Rowena Godwinson and John of Normandy. 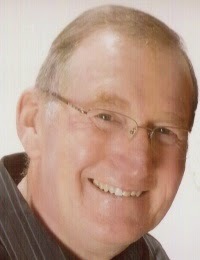 John's close friend is Peter. This is Peter's story. Padraig MacNaughton's death bed decree rips his only daugher, Brighit, from the shelter of her protective clan in Ireland. Forced to take vows at a Priory in England, she finds herself in the hands of lecherous mercenaries with their own agendas. Dare she trust the Norman knight to see her safely to her new life as a nun? Even when she finds in him the fulfillment of all she's ever wanted? Or will honor and duty eclipse their one chance for happiness? The barrenness of the countryside would take Brighit some time to get used to. Perhaps it was only this area, but it seemed nothing like her home which was so lush and green. She missed her family. A tightness began to build in her throat but Brighit refused to acknowledge it. A splashing sound came to her from just beyond the tree stand. She glanced back the way she'd come. The need to return immediately or confront Ivan's wrath had her clenching her teeth. That splash sounded very much like the lake Lachlann had mentioned. A chance to clean her face and hands in a refreshing body of water rather than with a soaked cloth? The heat in that confined carriage was making her wilt. She sniffed and confirmed her stench was overwhelming. Before even thinking it through, she headed in the direction of the sound. Brighit paused on the barely discernible path. Sure she heard rustling, she glanced behind at the open field she'd come from. It was empty. Nothing behind her that could make such a sound. Was it a deer perhaps? Taking a few steps farther, the small rise gave way to the breathtaking sight of a small lake. The top glistened like glass without a ripple to disturb its surface. The slight breeze carried the pungent aroma of honeysuckle and lavender. The plants would be a wonderful thing to find and put in with her few belongings. Each night she would be surrounded by the smell of flowers. Without another thought she headed through the bushes to her right, careful to not make a sound in case the deer were still nearby. Movement along the banks drew her attention and she froze. A man stood there dripping wet and naked. He pushed his hair away from his face. A handsome face with a strong jaw and a thick brow. She followed the movement of his hands, sloshing the water off his chiseled body. Blond hair spanned his broad chest and across his rippled torso, leading down his muscular legs, glistening in the fading light. His tarse was visible even from this distance. She looked long and hard. Her breathing became labored. Magnificent. He turned in her direction. She ducked. She held her breath and shivered in the bush, willing her heart to stop pounding so loudly. When she ventured another peek, he was gone. Disappointment welled up inside her gut. She'd wanted nothing more than to sit and watch him, imagine how it would feel to run her hands down his expansive chest and firm body as he had done, to appreciate the rippled strength there. She blew out the breath she'd been holding and licked her dry lips. That certainly wasn't going to happen, not in this lifetime—as a nun. A small bush of purple flowers brushed her hand and she snatched it. Lavender. The sun was dropping below the hills in the west and she needed to get back. Enough of these wasted desires. Desire made things happen. It was her grandfather's favorite saying. As the seventh son, he had been a man of some notoriety among Irish nobility. He was given the Celtic Princess, Faighrah, to wed. When he sired his own seventh son, the other leaders turned to him for guidance, for wisdom, in return for unfailing loyalty. The belief always that the seventh son of the seventh son of the seventh son had a special anointing from God. No evil could befall him. Brighit was no son and evil seemed a little too close. Ivan had told her he would not hesitate to make up a lie about who she was. Even saying she was his wife. Others would believe him because he was a man. Perhaps a little more protection from the same God who made her a female was not asking too much. 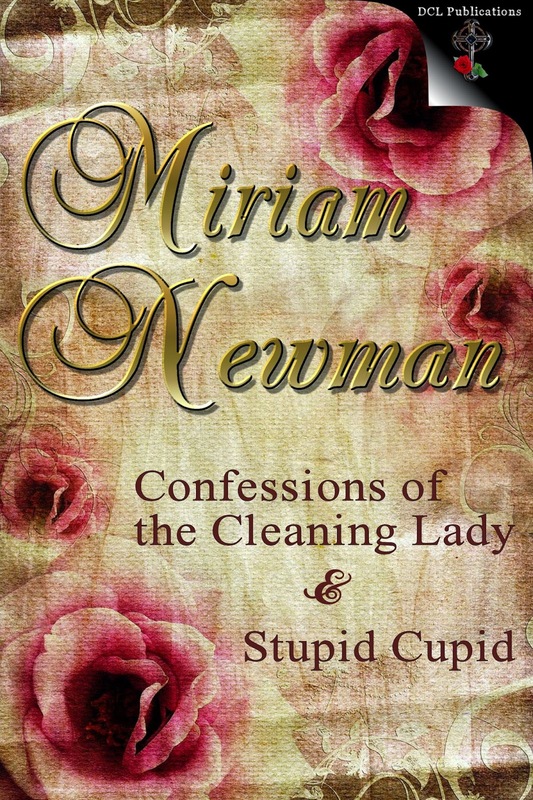 Confessions of the Cleaning Lady: A band of feisty Irish faeries who stow away in the trunk of a pharmaceutical representative from Killarney are inadvertently released in the Pennsylvania countryside where Mal McCurdy sets up bachelor housekeeping. In need of a cleaning lady, he is introduced to Shawna Egan, unaware that his faeries have taken up residence in her oak tree. Shawna, who was raised with tales of the Fair Folk but never realized she can see them, learns it the hard way when she cuts down their home. She gives them another…and faeries always repay their debts. Stupid Cupid: When the son of Zeus and Aphrodite bumbles into a meadow south of Killarney, he is met by a band of indignant faeries outraged by his target practice. Soon, however, all the supernatural creatures are overshadowed by an estranged couple intent on fisticuffs! Can Cupid effect a reconciliation between the humans? Or is just a wee bit of intervention by the Fae in order? Brianna Douglas has no use for men. Widowed young, berated daily for failing to give her husband a child, and sent home in subsequent disgrace, she devotes her life to holding her family's land for her young brother as their sotted father drowns his sorrow in whisky over her mother's death. Raiders have hit her clan hard, and to save them, she finds herself betrothed to Laird MacLaurey's absent son to seal a pact of protection with the MacLaurey clan. “Explain why ye hate me so.” Conn’s voice sounded soft and low, both gentling and demanding at the same time. Briannaglanced past him, her gaze darting from side to side, judging the possibility of escape. There was none, and after a moment she lifted her chin a notch, refusing to answer him. He hid a grin at her courage and pride. And stubbornness. “And ye can do better,” she tossed at him, repeating his earlier boast to the king. “Nae,” she ground between clenched teeth, her nostrils flaring. “Ye werenae married long enough to appreciate a man in yer bed. I bet ye still have yer dowry chest.” He teased her lightly, wanting to see a smile on her lips. “I burned the wood to warm my cold bedroom,” she snarled in reply. He leaned closer, his voice a raw whisper in her ear. “I would settle for marrying ye the way I found ye.” Brianna eyed him in puzzlement, and he knew the instant she remembered he had pulled her from the burn as naked as the day she was born. With a snarl of either rage or despair, she flung herself away from the wall. Before he could stop her, she darted beneath his arm and fled down the darkened hallway, her billowing silver hair the last thing to fade into the darkness. Shite! Does the lass have no sense at all? He rubbed his chin thoughtfully, wincing as he encountered the tender stripe she’d laid down the side of his face. Why do I pursue her? She openly hates me and has scorned me before the king and his court. He shrugged, remembering how they’d come together when neither knew the other’s name. I could do a lot worse. His rueful smile creased the welt and he scowled at the sting. Cathy enjoys weaving tales of romance in the Highland mists. 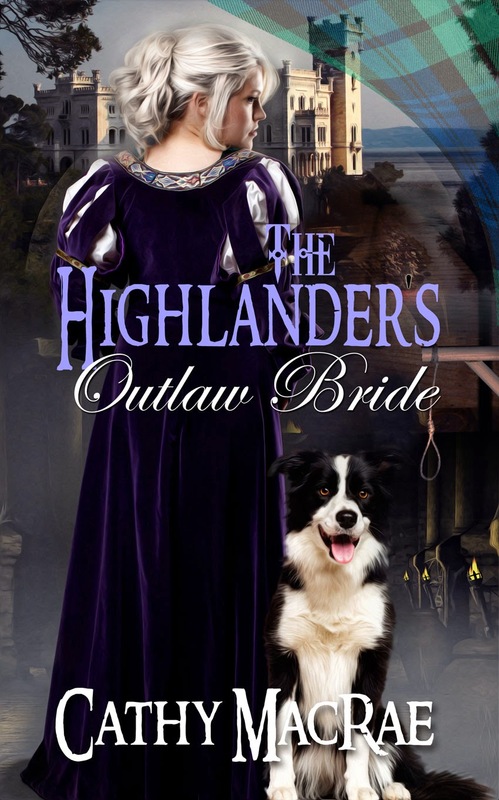 Her stories feature strong heroes and feisty heroines in pursuit of their happy-ever-afters in medieval Scotland. 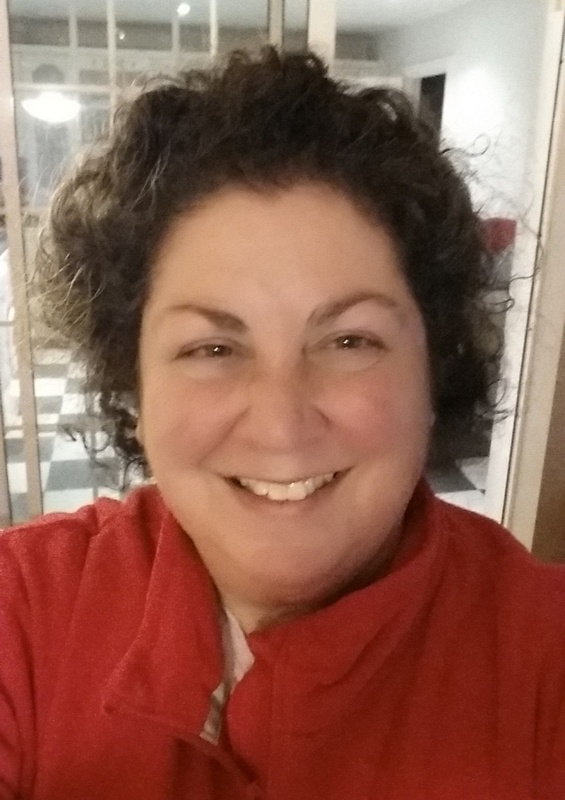 When not writing, Cathy can be found curled up in a chair with a book or enjoying the outdoors with her corgis and newest member of the family, Freki. 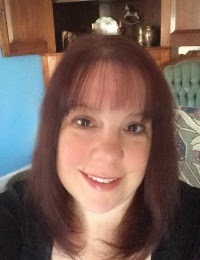 A member of RWA and Celtic Hearts Romance Writers, she is currently working on another Highland romance novel and planning her next trip to Scotland. 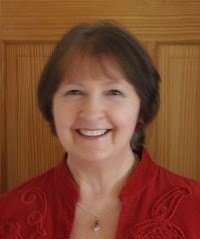 Check out her website at www.cathymacraeauthor.com for book updates, writing and author posts, as well as her thoughts on gardening and dogs. She would love to hear from you! A SAINT PATRICK'S DAY THANKS! A very heartfelt thanks to all the wonderful authors posting their works here in celebration of St. Patrick's Day. You have made it the best holiday EVER on The Celtic Rose Blog and we have all enjoyed your posts. What’s a woman to do when faced with the man of her dreams—literally? Catrìona MacDougall has dreamed of an ancient highland warrior for years and over the course of her life she’s fallen irretrievably in love with a man she can’t have. This won’t do and she vows it’s time to put the dream man on the shelf and find a real man who can make her melt. What should seem like a very uncomplicated plan soon proves to be anything but. Catrìona is about to get way more than she ever bargained on. Maybe dreams really can become reality. 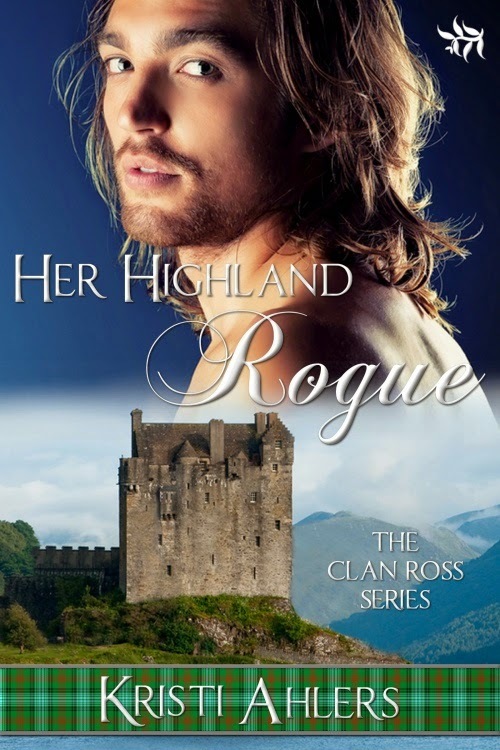 Laird Braden Ross, once a brave warrior for his clan, was to marry Catrìona MacDougall, and what started as a marriage to solidify clan relations turns into a love match. But, when Braden leaves MacDougall land with his bride to be, they are ambushed by banished members of the Comyn clan under the direction of Morgana, a druid priestess, who has long held deep feelings for Braden. When those feelings aren’t returned, she vowed to make him pay. She attacks Catrìona and leaves her to die in Braden’s arms after cursing him into a loveless existence until his soulmate releases him. Braden is trying to reach out to Catrìona but she's convinced he’s nothing but a dream. He needs to prove to her they are meant to be, before she banishes him to the afterlife. Kady, Muse Extraordinaire, has ticked off Cupid, and in order to get back into the good graces of her friend and the rest of the Gods, she has to do the seemingly impossible. She has to match her favorite lady human, Meagan Wentworth, with her one true love. Kady thinks she’s struck the mother lode of luck when Meagan falls for Alec Ross but there is just one tiny little problem with the hearts and flower ending she envisions. Alec is from the past--Scotland, in the year 1295 to be exact, and his little sojourn in the future is about to come to an end, thanks to the selfish and evil priestess, Morgana. But everything goes wrong when Alec and Meagan get caught up in the a spell Morgana has cast and sends them back in time. Kady doesn’t have enough power to send them back to the twenty-first century so she hopes they can make things work until she can figure a way to get Meagan home where she belongs. Meagan can’t believe she’s back in time, with no plumbing, no electricity and the hottie she’d been falling for, doesn’t remember her. Meagan is going to do what she can to get back to her time period, she doesn’t need this…and yet, she has never backed down from a challenge. She’s going to remind Alec who she is and what they had together in the future. Hopefully, she’ll be able to survive the late 1200’s and not be accused of witchcraft or die. And of course get the guy and write there happy ending. Kristi Ahlers is a California girl! She grew up in Northern California in a small city called Yuba City. Since then she's lived in Brussels, Belgium, and England along with a myriad of other locations. 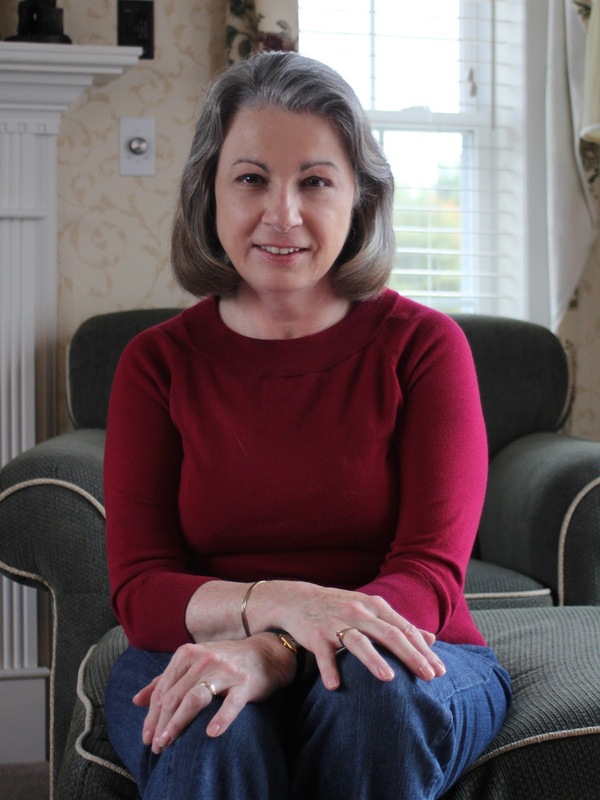 A former flight attendant, she was able to continue to feed her love of travel. This has greatly influenced her writing, allowing her to pen stories about places she's managed to visit and things she's experienced. 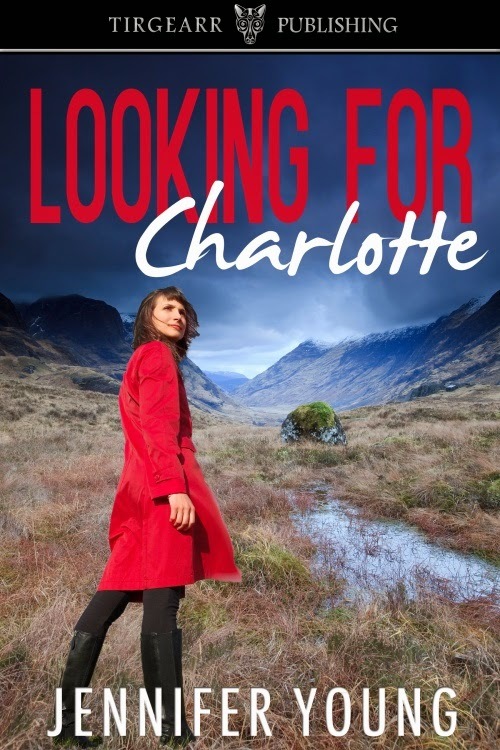 Divorced and lonely, Flora Wilson is distraught when she hears news of the death of little Charlotte Anderson. Charlotte’s father killed her and then himself, and although he left a letter with clues to the whereabouts of her grave, his two-year-old daughter still hasn’t been found. Flora embarks on a quest to find Charlotte’s body to give the child’s mother closure, believing that by doing so she can somehow atone for her own failings as a mother. As she hunts in winter through the remote moors of the Scottish Highlands, her obsession comes to threaten everything that’s important to her — her job, her friendship with her colleague Philip Metcalfe and her relationships with her three grown up children. ‘Go away!’ she said softly to this mirage of a grieving woman, a little afraid of its power. ‘Go away!’ And then, in the only defence left to her, she began to fold the map away. Jennifer Young is an Edinburgh-based writer, editor and copywriter. She is interested in a wide range of subjects and writing media, perhaps reflecting the fact that she has both arts and science degrees. 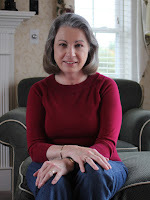 Jennifer has been writing fiction, including romantic fiction, for a number of years with several short stories already published. Thanks You For The Music, which is set on the Balearic island of Majorca, is her first published novel. Germany invades mainland Britain. Irishman Danny O’Shea’s house is bombed and his wife killed. His young son Adam has learning difficulties. Terrified of what the Nazis will do to him, O’Shea decides to take him to neutral Ireland. Penniless and desperate, they head for Fishguard. 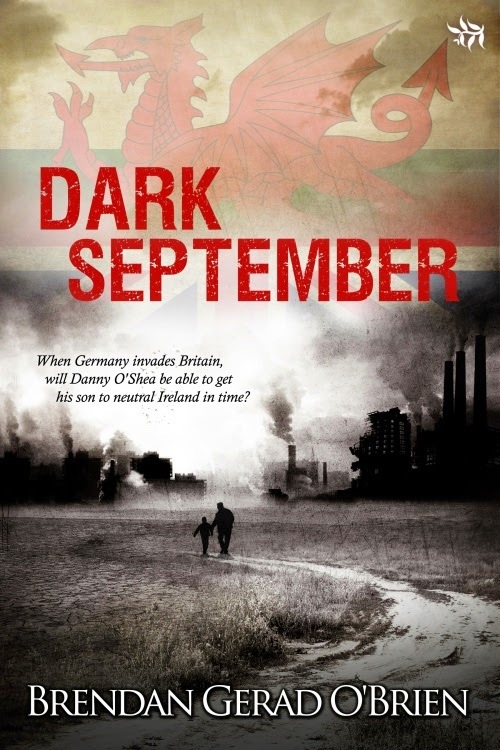 But on an isolated Welsh road they witness an attack on a German convoy carrying the blueprints for an awesome new weapon that was discovered in a secret laboratory near Brecon. German Captain Eric Weiss, responsible for the blueprint’s safe transfer to Berlin, knows his job, even his life, depends on getting it back. But, following a major disagreement amongst the insurgents, the blueprint disappears. Then O’Shea goes to the aid of a dying woman - and both the Germans and the insurgents believe she’s told him where the blueprints are. Suddenly O’Shea is separated from his son and catapulted into a world of betrayal and brutal double-cross. Pursued by both the Germans and the insurgents, his only concern is to find Adam and get him to safety. ‘Did you hear the latest rumour, Danny?’ he asked. His eyes were disturbed, wide and anxious, as they darted from O’Shea to the newspaper and back to O’Shea again. O’Shea gave a furtive look around at the other passengers. The tram was full as usual and the steam from their wet clothes misted up the windows. He recognised most of the men. Practically all of them worked down in the dockyards. The few women on board were heading for the nice warm tax office. It was obvious from the way they held their hands tightly across their bodies that they’d heard the rumour too. So they’d be only too aware of the dreadful consequences if it turned out to be true. But nobody spoke. Today there was no idle chatter, no swapping gossip behind gloved hands. Everyone felt the tension that hung like a fine mist in the air, so they just sat there in silence and looked out of the windows, their faces blank and their mouths drawn into thin, anxious lines. A deep, desperate sigh rippled up from O’Shea’s chest and he couldn’t swallow it in time so he tried to block it with his hand. What in God’s name was he doing, going to work at a time like this? If the omens were so obviously terrifying, why wasn’t he at home with his wife and child? They’d still be lying in bed, sound asleep and unaware of the drama unfolding around them. Brendan Gerad O’Brien was born in Tralee, on the west coast of Ireland and now lives in Wales with his wife Jennifer and daughters Shelly and Sarah. As a child he spent his summer holidays in Listowel, Co Kerry, where his uncle Moss Scanlon had a harness maker’s shop, which, sadly, is long gone now. The shop was a magnet for all sorts of colourful characters. It was there that Brendan’s love of words was kindled by the stories of John B. Keane and Bryan MacMahon, who often wandered in for a chat and bit of jovial banter. Most of the ideas for the stories in the collection Dreamin’ Dreams originated there, and some are based on actual real character - though Brendan would never admit it, simply because he couldn’t afford the ensuing litigation. Edinburgh 1816: Young widow Lady Lenora Fitzallan receives an invitation that might change her life. At his Scottish country estate, Edward Montgomery awaits the arrival of the woman he should have married seventeen years before, while his niece Annabelle begins to fall in love. But is it with the right man? 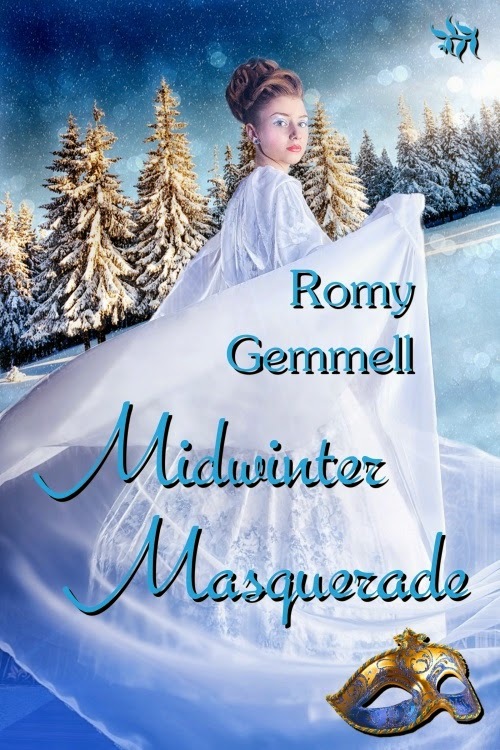 As they all prepare for the Masquerade Ball on the Winter Solstice, new arrivals cause uncertainty and reveal past secrets. But who will win Lenora’s love in the end? As the carriage departed from her house in Edinburgh’s Charlotte Square, Lady Lenora Fitzallan settled back in her seat and contemplated the change to her plans since receiving the unexpected correspondence. Lenora reached across the short distance and handed the well-folded paper to Lady Clarissa Pettigrew. Lenora turned the letter over in her hand as if the answer to her godmother’s astute question could be found there. “I do not know, Godmother. It is exceedingly curious.” She fingered the firm, sloping signature before returning the missive to her reticule. She knew it by heart, especially the part concerning the unknown niece. A sudden vague remembrance surfaced of rumours about the birth of a child, and she recalled Edward had a younger brother but knew nothing of his life. But why should the girl be in Edward’s care, as the letter inferred? Lenora pushed aside her questions, and a niggling little doubt that refused be given substance. She would meet the girl herself soon enough when all questions would be answered. As the carriage lurched over the cobblestones on its way through the New Town, Lenora had to admit to curiosity about Edward. She tried to picture how Edward Montgomery might now appear and could imagine only a more mature version of the handsome young man who had stolen her heart so many years ago. Now she was no longer a young girl in her first season with hope of an advantageous marriage, but a wealthy widow with several admirers. And yet, a deep part of her longed to fulfil the passion of which she was capable and that had been denied for too long. She paused, then decided to keep her other thoughts to herself. There was one more reason for marrying again: to bear a child before she was beyond such a possibility. If she were honest, Edward’s description of a lively, wayward niece sparked more interest in her than the dull, gray streets of Edinburgh in late November. 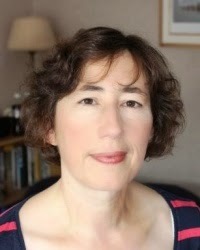 A freelance writer for many years, Romy Gemmell’s short stories and articles are published in UK magazines, in the US, and Online and she has won a few short story prizes over the years. Her first historical novel, Dangerous Deceit, was published by Champagne Books in Canada in May 2011 (as Romy), and Victorian novella, Mischief at Mulberry Manor, was published on kindle in December 2012. First tween novel, Summer of the Eagles, was published by MuseItUp Publishing in Canada in March 2012 (as Ros) and The Jigsaw Puzzle is now released in April 2013. 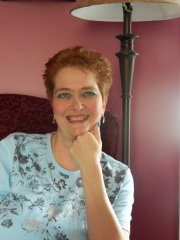 She describes herself as a butterfly writer, as she writes in so many different genres and different styles. Rosemary is a member of the Society of Authors, the Scottish Association of Writers and the Romantic Novelists’ Association. She indulged her love of literature and history by achieving a BA hons followed by a Masters in Humanities degree as a mature student. Happily married with two grown-up children, she loves to dance!